After 27 years and thousands of shows, Fashion Television ceased production last month. 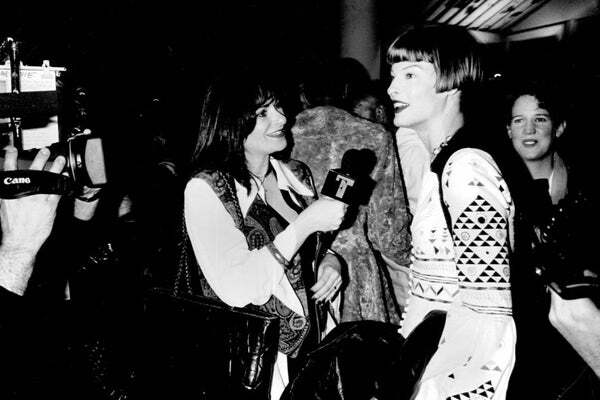 Airing in over 100 countries around the world, the Canadian-based production's mix of runway coverage and tongue-in-cheek behind-the-scenes interviews was, for its time, so innovative and addictive that it influenced an entire generation of fashion reporters, writers, and bloggers (Refinery29 included). 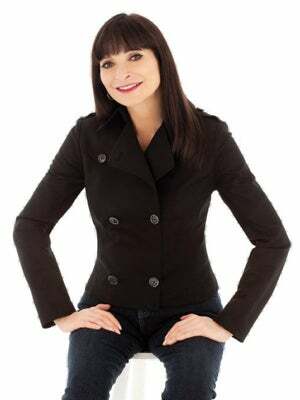 Having put down the FT mic, long-serving host and producer Jeanne Beker opened up to us about Fashion Television’s legacy, Marc Jacobs' humble beginnings, and that time Anna Wintour got locked out of McQueen's first NYC show. So, after 27 years, Fashion Television is off the air. But you’ve said before that the brand will continue on. "Yes. We still have the best access, so we’ll continue creating programs, no matter how they surface — whether they come at you via your computer screen, iPad, or smartphone. The content is still there and there’s still an incredible thirst for it. We’re just finding new ways to deliver it — fast and furious! Also, our archives are phenomenal. We’ve kept all of our raw tape and I’m making it my mission to bring it to the public." That sounds like a great opportunity to see all the crazy things fashion designers like Karl Lagerfeld and others were wearing a few decades back. "Oh yeah. We could do a whole channel of that stuff… or at least a good flashback show. This young generation right now has such a thirst for things like that. They love history. They love tracing back trends and seeing where current ideas first came from." And you can trace a lot of how style is covered today back to Fashion Television, right? "Well, I’ve been blessed to get in on the ground floor on a lot of things. But, yes, we were the first people to put fashion on television as entertainment. Elsa Klensch had her show on CNN a couple of years before we got started — but that was very no nonsense. That was pure fashion journalism with a capital “J.” She was more apt to talk about hemlines, silhouettes, and fabrication. We didn’t care about that stuff. We cared about the creative process, the personalities behind the labels, and the whole scene. I think that wound up popularizing fashion to a certain degree. Also, we never took it too seriously. We poked fun at things — with a lot of humor and heart — and I’d like to think that we made fashion more accessible in that way. Before then, this was a very elitist, enclosed world." How do you feel about having had a hand in changing that? "It’s really incredible how fashion has opened up since we started bringing cameras backstage. There’s been this whole media explosion and people have started to become their own journalists and their own editors — which is great to see. Fashion has always been important to women. But now, it’s even more of a mode of self expression. It’s become so democratized." Photo: Courtesy Bell Media . So, is that the FT’s legacy — democratizing fashion? "It’s more than that. In every far-flung corner of the world that I go to — Bulgaria, Singapore, Lebanon — I meet kids who were first exposed to fashion by Fashion Television. Alexander Wang told me we were his window into fashion when he was growing up in San Francisco. Brad Goreski opens his book talking about how he lived for our show when he was a little kid in small-town Ontario. We took people places they’d never been before — and they grew up to become part of that world." I know it’s been 27 years of great moments at FT, but can you pinpoint a few that stand out above all the rest? "Oh, this is so hard. There are so many countless, countless moments. I remember standing on the hood of a car in the snow in front of an old Synagogue on the Lower East Side filming Anna Wintour being locked out of Alexander McQueen’s first New York show with my Hi-8 video camera. And then, I was almost trampled to death trying be the first one to shove my mic into Lindsay Lohan’s face after her design debut for Ungaro. What a total joke! I was very proud that Valentino granted me his first on-camera interview after he announced he was going to retire. But, I really have to mention Marc Jacobs. Way back in the late ‘80s, shortly after he had gotten through fashion school and was working at Charivari in New York, he got a Canadian-based manufacturing company to partner with him on a little line of sweaters. Anyway, he was coming to Toronto to work with them and a PR friend of mine told me I just had to interview this kid. He was going to be really hot. He was going to be the next big thing. All that. And I was like, “Right, yeah, okay, whatever.” So, fine, I schlepped out to suburbs to this factory to see it for myself. Well, what do you know, there’s this kid with hair down to his elbows, but he was already incredible. His work was already incredible. Years later, after the poor reception for his “grunge” collection for Perry Ellis, I went to visit him in his little studio in the Village. Robert Duffy was there, and we stood out on his fire escape, talking about his future. Marc vowed that he would never let his business get that big. He just wanted to keep it small and stay true to himself. He was sick of all the hype that went along with the big brands. When I think about that and how he’s Mr. Louis Vuitton now and how well his brand has done — well, it’s just incredible isn’t it? It’s really been an amazing journey." Fashion Television and Beker are still online here and those who are interested in a lifetime of fashion stories should pick up her book, Finding Myself In Fashion. Photo: Courtesy EDIT by Jeanne Beker.